Please use our lift chair bot to assist in finding the perfect chair for you. 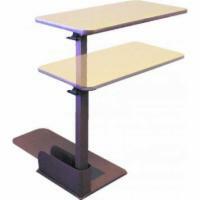 Significant cost savings are realized when purchasing from Lift Chairs 101 Knoxville. We include free nationwide shipping with every lift chair we sell. The price you see is the total price you pay, no sales tax, no surprises, no extra charges. Our lift chairs are offered at a fraction of the price charged by local retailers, and we back that up with our 200% Low Price Guarantee! What type of Lift Chair is right for you? Two position lift chairs have two major positions; straight and a slight recline of approximately 45 degrees. Full function lift action with TV recline. 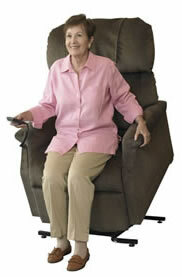 Three position lift chairs can adjust from an upright position to a nearly full recline position. Great for reading and napping. Infinite position lift chairs have dual motors, one for the back and one for the legs. This allows for an "infinite" amount of positions that can be achieved. "I wanted to let you know that Rene, your customer service rep. for Lift Chairs 101, is outstanding. I placed an order on Saturday and she called me with some questions on delivery. There were some unresolved issues on my end for receiving the order that wound up making it impossible for me to order the chair. However, her professionalism and thoroughness on the phone saved me a bad experience. She is very intelligent and polite. If the country had more Rene’s working in this manner, we would be a lot better off. I may not have been able to complete this order this time, but I will keep your company in mind for the future and I will highly recommend it to others who are seeking to purchase these types of items because of my experience with Rene. Thank you for your attention, and please tell Rene I am grateful to her. " Find out more in our Everything You Need To Know About Lift Chairs section.